I have a problem with design management. I have never really been able to put my finger on it in a decisive way. But today I came closer. Next week I will be lecturing in Rotterdam to postgraduate students on the excellent EURIB Masters course on design management. My theme is design leadership. This is an established field of inquiry and practice, but has been defined largely by the corporate concerns of management. I have less interest in this than the broader and more challenging question of design leadership in social design, the community and in the new ‘indie capitalist’ start-up culture. However, there is a literature out there that explores definitions, interpretations and challenges of leadership in design – much of it based on extensive research – which I have been picking the bones out of. The definitions that exist in the design management literature simply do not fit the new world of practice that many designers find themselves in today. So I decided to crowdsource some definitions. I tweeted: Tell me in a tweet: how do you define #designleadership? What was sent to me in just a few hours were some great insights and interpretations, few if any fitting the conventional idea of design leadership. This is hardly surprising since design leadership is part of only very few individuals’ daily discourse. But it has certainly opened up some interesting themes to explore in Rotterdam and to write about more fully over the summer. I have clustered the responses fairly broadly. Some obviously fit under a number of clusters, but here we go. These definitions focus on critical competencies in getting projects done well. Design leaders, it is perhaps inferred, are excellent, pragmatic and efficient managers and practitioners. @Doubleyouvee – someone who allows me 2 explore the boundaries of a brief but tells me to reel my neck in at the right time. @FahdMSA – Design leadership is providing your creative ones with an open space in the right direction. @cjarnold – #designleadership… the concerted act of framing, facilitating, and delivering on the promise of pragmatic creativity. Given the textbook definitions – which focus exclusively on the strategic role of design leadership – I had expected to see a few more of these. I have included the @wearesnook response here as it accords with one view of strategic leadership which focuses on the ‘designerly approach to solving problems’. @jsheau – Leadership thru design thinking/approaches applied strategically. @martyn_evans – Very simply… ‘the strategic deployment of design management’. In different ways, these definitions nail it really effectively: connecting, pathfinding and asking why. @StuartUnited – By asking why all the time while dressed in black. Seeing a vision, holding on to values in the face of adversity and removing ego as you lead are the issues here. Putting others first, such as users, seems to be linked to this idea of leading with less ego. 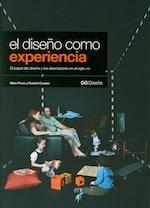 @FDalmau – #designleadership is the capacity of transferring what only your eyes can see to the rest of humanity. @craftfair – Sticking to your values under economic pressure. @rbsquarebanana – Leading by example, without an egotistical bent. These two definitions focus on leading change, and in one case specifically regarding social change. @alamaffan – be an agent of change. In the definitive Handbook of Design Management (in which I am one of many contributors) empowerment is not even in the index. This term comes from psychology and philosophy, and has a close association with feminism. @EmmaWalkerCEO – Creating space to empower new opportunity and vision. @jaycousins – #designleadership is empowering people to take the lead, so they can improve the world for themselves and others. @joannasaurusrex – #designleadership is female! To be honest, my twitter experiment had given me more inspiration and ideas to mull over than three days of poring over all the literature and research. So why is this? My contributor @joannasaurusrex has a vital insight. I asked her why female, and she replied: “because women are more emotive – and both good design and good leadership should have a mixture of structure and feeling”. Much of the literature in design management and design leadership is based on studies of men. Actually, a very specific type of man – a white male designer who works for a large corporation. I have nothing against these people at all. Some of them indeed are my best friends. It is just that basing an entire academic and professional discipline around a really rather small section of humanity is somewhat questionable. 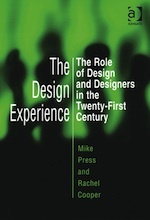 In an influential and highly well argued paper, The Soul of Design Leadership, a number of examples are used to define the essence of design leadership. And they are: Philippe Picaud, former design director of Decathlon; Thorsten Bjørn, senior creative director for LEGO; Chris Bangle, former design director of BMW Group; Chris Hacker, former design director of Aveda; Chuck Jones, former design director of Whirlpool; Stefano Marzano, CDO of Philips Electronics; Steve Jobs and Jonathan Ive of Apple. Can you see a pattern here? Or how about this, another paper on this same theme that lists Jonathan Ive, Bill Moggridge, Chris Bangle, Terence Conran, Tim Brown, Philippe Starck, Patrick Whitney, John Thackara and a few others. I guess you get my drift. It is not as if we are short of women who work in corporate design or who are highly influential in design: design leaders such as Vivienne Westwood, curators and journalists such as Helen Walters and Alice Rawsthorn, designer/researchers like Helen Storey. But they do not feature as exemplars in the corporate-focussed literature. We can link this issue to the general crisis of leadership that is now evident in our culture. I have written about this in the context of politics elsewhere in this blog. There is a general failure of leadership in the political, corporate and civic worlds. I would suggest that this failure can be directly attributed to redundant values that are rooted in conventional power relationships, such as patriarchy. My theory is that there is a wholly new set of values, qualities and practices emerging from a new generation of leaders (in design and elsewhere) and these are evident from my highly unscientific twitter survey. So, let me pull this together and suggest a provisional conclusion. Design leadership is fundamentally about empowerment, it is about vision, driving change through design in the wider world, and is about the primacy of values. We find it in the corporate world, and we find it in the community. Design leadership helps us to create iPhones, and it helps us to create and sustain knitting groups. We see design leadership in start ups and in schools where teachers empower their pupils to learn and to gain self-respect through design and technology. Design leadership is about focussed determination. And it is about empathy, emotional intelligence, honesty and the primacy of others. Not ego. Design leadership is practiced by women and men, of indeterminate ethnicity, of all social classes. It is exemplified by amateurs, activists and professionals. So to define such a concept through a partial and selective perspective evident in some current design management thinking is at best flawed. Does this matter? Well, on one level no, not at all. One of my respondents who I consider to be a remarkable and visionary design leader tweeted in reply to my thanks for taking part to say “You’re welcome, never heard the term till today to be honest.” If anything, that is a far more pressing problem to address: the failure of this research and literature to connect with its professional constituency. But perhaps it is time to initiate a discussion about design leadership with this new generation of leaders. @jaycousins @EmmaWalkerCEO @wearesnook @joannasaurusrex @vanillainkUK who contributed, are exemplary design leaders. I’m sure the others are too – I just don’t actually know them! So thanks to them all. Design leaders empower others to creatively connect the dots. And yes, sometimes they wear black.